During this Holy Month of Ramadhan, duas are greatly emphasized. We are encouraged to pray at various times. We usually have specific prayers in mind, and we make sure to remember those struggling around the world, our loved ones as well as those we have never met. This beautiful practice of Dua is one of the most amazing parts of Ramadhan. There are SO many prayers prescribed specifically for this month, such as Dua-e-Iftitah. There are other actions that are recommended throughout the year, but their benefits are multiplied during this month, such as Namaz-e-Shab. We want to pray and remember Allah as much as we can every single day, and we want and need to introduce that to our children. However, when we open a prayer book for this month, it can be a little overwhelming to see how many prayers there are. I’ve taken just a few short duas from duas.org that I feel are important and easy to use daily for our kids. These are the duas that are probably the most commonly recited every day during Ramadhan as well. I have arranged them in an easily accessible format that the kids can keep with them every single day and use them whenever they wish. Right next to the Arabic text of the dua, I have placed the English translation, line by line. I believe that it is essential to have the translation of the dua right along with the Arabic so that we can understand what we are saying as we recite each dua. All of these duas are beautiful, and understanding this beauty is critical for our children to fall in love with these duas. 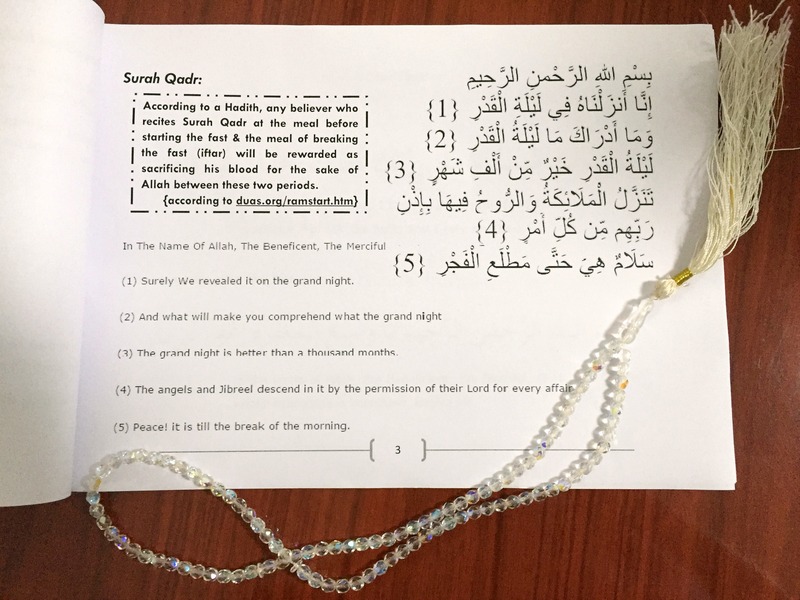 This Daily Dua book download is available on Teaching Young Muslims Resource Library! Enter your name and email address here to receive the password to access these downloads. Already signed up? Enter the library HERE. 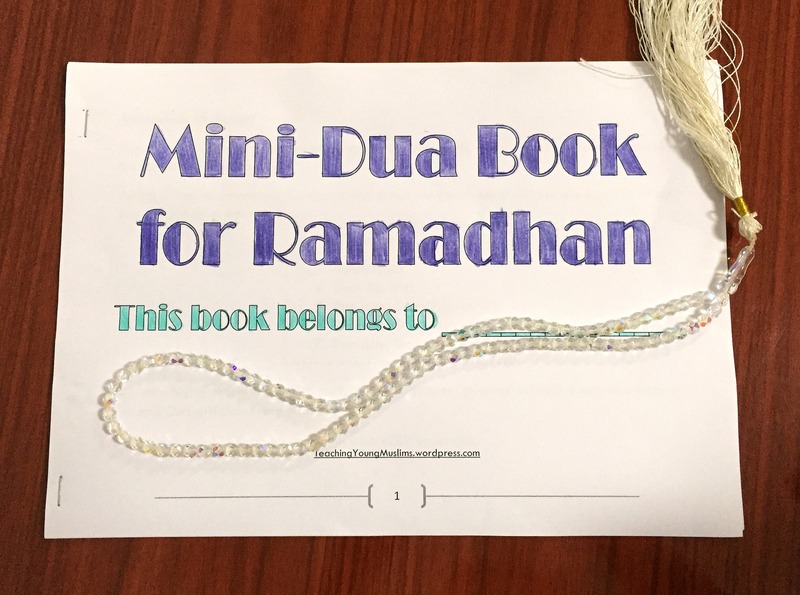 Once you enter the library, click on “Ramadhan and Eid” and click on “Daily Ramadhan Dua Book” Don’t print this one as a booklet. Instead, choose landscape and the option to “fit” the page to your paper, to maximize the legibility of all the text. Previous PostRamadhan ClocksNext PostRamadhan Mubarak!